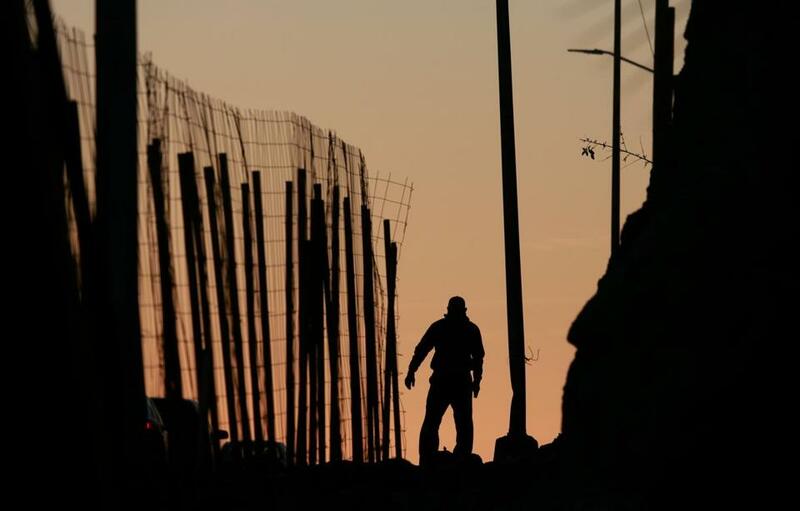 A man walks along a road next to the US-Mexico border wall on Jan. 7, in Tijuana, Mexico. President Trump’s desperate yearning for a wall along the Mexican border presents an opportunity to Democrats. They should use their control of the purse strings as leverage to extract long-delayed immigration reforms that would make wasting a few billion dollars on an unnecessary border barrier well worth the sacrifice. In dueling addresses on Tuesday night, Trump and Democrats hammered each other over the impasse, which has led to a government shutdown now in its 18th day. The shutdown is clearly Trump’s fault, as he himself has proudly acknowledged: He’s decided to hold the basic functioning of government hostage to his demand that Congress pay for a 2,000-mile physical barrier. Democrats could simply dig in and refuse any wall funding, and that makes plenty of sense. After all, Trump initially promised that Mexico would pay for the barrier, not send the bill to Americans. A smart border security package would involve better computer systems to track immigrants and more security workers at airports, not a meaningless gesture in the desert. But there’s a growing interest, including even from some Senate Republicans, in striking a bargain that would let the president have some crumbs for his wall in exchange for permanent protections for roughly 1.1 million immigrants at risk of deportation. The deal would cover the so-called Dreamers and holders of “temporary protected status,” whose designation has been revoked by the Trump administration. If Senate Republicans can get their act together to offer that kind of a deal, House Democrats should take it. It would bother many Democrats to give Trump anything he might be able to call a victory. But focus on the big picture: Democrats have tried to protect dreamers, without success, for a decade. A deal permanently protecting immigrants would be a major victory, with lasting benefit to the country — all for a nominal downpayment on what is still an imaginary wall. A congressional bargain would also be a way of calling Trump’s bluff, putting the ball in his court to deliver the wall and forcing him to confront the actual political cost of doing so. Consider the Texas ranchers and farmers whose land the government would need to seize via eminent domain. A USA Today investigation last year found that building the wall would require seizing or disrupting nearly 5,000 parcels of property in Texas. As shutdown drags on, consequences mount in Mass. From a local US Coast Guard Base to Logan Airport, Massachusetts is feeling the strain as the partial government shutdown continues. This would just be a case of the good far outweighing the bad, and of House Democrats cannily taking advantage of the president’s desperation and the Senate GOP’s concern for its vulnerable members facing reelection in 2020. Passing protections for Dreamers, the unauthorized people who were brought to the country as children, and for people with protected status, would be worth it financially, too. For instance, deporting immigrants with temporary protected status back to El Salvador, Honduras, and Haiti would cost American taxpayers $3.1 billion and cause a loss of $45.2 billion in GDP over a decade. Support for a grand bargain deal is growing. Meanwhile, the impasse over the wall is having real-world policy effects in the lives of thousands of workers who are not getting paid. 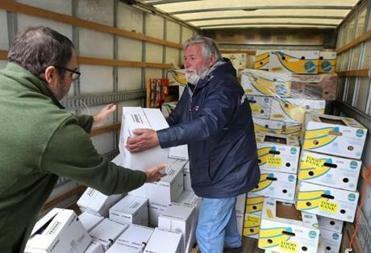 In Massachusetts, anywhere between 4,000 and 8,000 federal workers have been affected, including those investigating the Merrimack Valley natural gas explosions and fires, which has been suspended due to the lapse in federal funding. Public benefits like food stamps, school lunches, and housing assistance will soon lapse, leaving millions more vulnerable American households in hardship. In a particularly cruel twist, the shutdown is further crippling our immigration system: Delays in immigration courts across the country are piling up, and the government’s E-Verify systems are down, leaving employers unable to check the immigration status of prospective hires. Senate Republicans, meanwhile, can’t stay on the sidelines. Already Senator Lindsey Graham has said he would support a wall-for-Dreamers-and-TPS bargain. Lawmakers like newly sworn-in Senator Mitt Romney and moderate Senator Susan Collins should step up soon. There’s a way out of the political headache the president has created for his fellow Republicans, and it involves both houses of Congress finally coming through for immigrants facing deportation.